Florian Effenberger has been a free and open source evangelist for many years. Pro bono, he is Chairman of the Board at The Document Foundation. Florian Effenberger has been a free and open source evangelist for many years. Pro bono, he is Chairman of the Board at The Document Foundation. He has previously been active in the OpenOffice.org project for seven years, most recently as Marketing Project Lead. 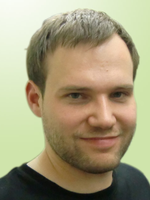 Florian has ten years' experience in designing enterprise and educational computer networks, including software deployment based on free software. He is also a frequent contributor to a variety of professional magazines worldwide on topics such as free software, open standards and legal matters.